Self-confidence is life-affirming attribute. It’s reassuring and a crucial part of every individual’s personality since it makes up their persona and in most cases influences performance. Take celebrities for instance. Whether this pertains to actors, athletes, musicians or models, they rely on two main attributes that define their fame and success on social media platforms: their talents and their own unique style. Each half contributes equally to mesmerize and influence the masses. Probably the attributes that make up a real man. It is this portrayal of self-confidence, complemented by style, which continues to enamour us or to be more precise, charm us. Ultimately learning from them what it means to be fashionable, elegant and chic. This is why we dress like we do, style our hair the way we do and put on the extra accessories, be it the watch on our wrist or shades before our eyes. In any sense, they inspire us to have the same positive attitude of looking great. Here, we take a look at three such male influencers, who’ve all added something to men’s style and why they are considered as fashion icons. The 43-year old Englishman, apart from being an expert at taking a swing at the ball, knows a thing or two about fashion. Okay, maybe that is an understatement. Perhaps a better statement would be: the athlete breathes fashion. After all, he has two clothing lines for men that offer his signature British style to people. His brands are Kent & Curwen and a fragrance line by the name, David Beckham Instinct. This man launched a successful career as a football player at Manchester United, soon making his way to the clubs in Italy, France and Spain, but we gather that’s not the journey you’re here for. The point of these transitions in his football career overlap and match quite appropriately with how his fashion and style has changed over the years. Yes, the only thing constant is change! Being fashionable means to constantly update yourself with your dressing style and adopt rising trends, a feat performed very well by David Beckham — next time you look at him check out his hairstyle. At his first-ever club, Manchester United, or famously called, The Red Devils, Beckham starting playing at the age of 17. Giving that young boy look some credence, here’s his approach with a classy look to begin with. Growing internally as part of the team, Beckham soon proved to be a wonder kid and made his way into the first team for the club. Now Beckham had more lying on his shoulder, a greater responsibility and now that he was a crucial part of the team, he could show his comrades a more refined variation of the classy hairstyle version, something with a bit more swagger, this time imitating growth. He continued to serve his first club faithfully for over a decade, before moving onto the next chapter: Real Madrid. David had already shown that he had the potential to be on top of the game. In fact, thanks to his expertise on the subject, he can begin to coach youngsters to follow in his footsteps. To embrace the phase where he now had to act as a leader among the teammates, you’d want something more graceful and epic to compliment that legendary status. David had the right idea to alternate between the short ponytail and the long silky hair accompanied by a hairband. A mix of both worlds — one must say. He went through little changes in his hairstyle as he travelled to and played at Milan and Los Angeles before making his final stand in Paris with Paris Saint-Germain. The best way to describe his hairstyle at that time: a balance between the classy, stylish and graceful hairstyles he had throughout his career, without ever replicating one. To sum up, if you could hide the colors he wore for his football team, you would still know which club he was playing for by looking at this hairstyle alone. That’s how big of a fashion icon he has become all across the globe. Of course, he hasn’t thrown the towel in as far as fashion is concerned, as he continues to hold events, appear in films and just amazes us at public appearances with a different hairstyle every once in a while. If David Beckham was the epitome of changing hairstyles, the charismatic English actor, Tom Hardy, would be that of changing styles for facial hair. From how frequently we observe Tom changing his beard, we’re betting he might have a Bearded Colonel subscription among other door-to-door razor services. Though you can easily attribute these changes in style to the movie roles he lands, the man has expressed his interest to continue growing his beard and shut off those who question him in his journey throughout the way. Let’s start with a casual look, the one that says “It was good to know your thoughts, but I’ve got mine.” This look is well suited to almost all occasions, where the thickness of the moustache matches that of the beard, so as to almost blend with each other. From here on, Hardy went to the extremes of both spectrums: letting his beard grow for a more rugged look and trimming it for a shorter stubble version. Going to a higher degree of both length and thickness, our man chose the “tapered sides” look that compliments the slick hair. Hardy also adopted a hybrid look for his beard, as he continued to experiment and style his facial hair between short and thick. This is reflected by his “stubble beard” look below, which once again, suits his buzz cut hairstyle, almost too well. Stepping into the “rugged beard” territory, here is Tom Hardy in a military jacket. The beard style marks an upgrade over the very first “casual look” and the pomade hair with the combination of the rocky beard, makes the man look ever so rough and tough (in all the good ways) with his appearance. A quick note: You’ll probably find 20 or more styles when you search for the Englishman’s beard on Google. Consider signing up with a mens fashion blog or any subscription to keep learning about the latest trends in the market. Enough talk about hair for one day, let’s focus on the other aspect of inspiration in fashion and self-confidence: dressing. To serve this, we’ve picked the 30-year old British rapper who has no trouble picking out an outfit for an occasion solely based on his intuition. And yes, in his case dressing fittingly seems to be the intuition. 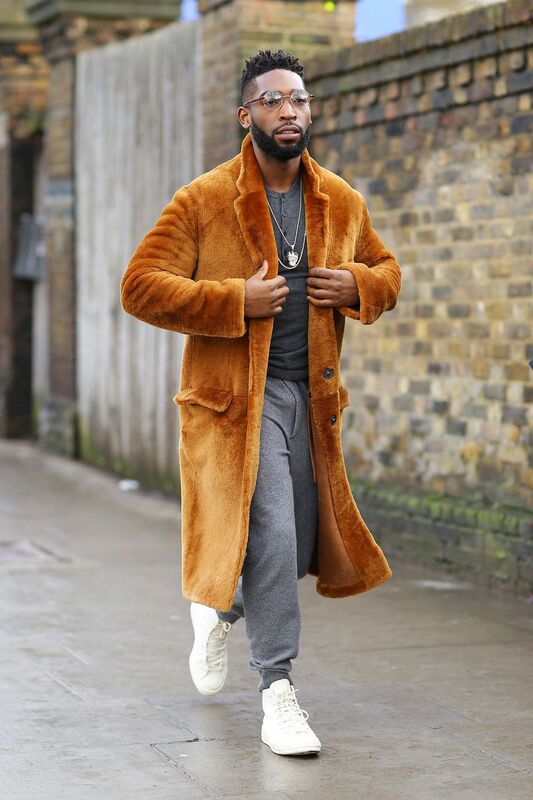 I hear there’s a party in town, well leave it to Tinie Tempah to make the right choice: a simple yet elegant style that is equal parts formal and swag. Perhaps, a different party calls for something funkier so here the musician with a groovy look which is in a class of its own for him. Even on casual occasions, like an outing on the streets, Tinie displays his fashion sense in cool cool new ways, styles that never seem too cluttered and heavy for a normal occasion nor too minimalist or dull to go unnoticed. 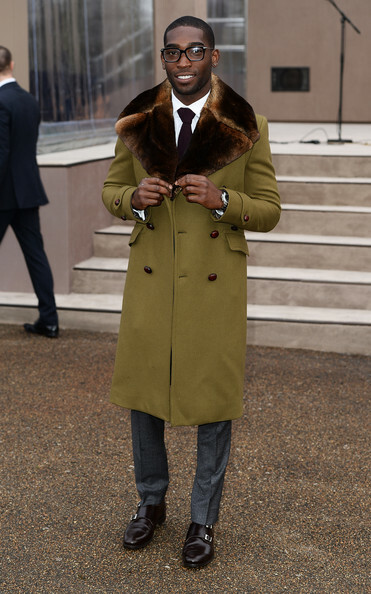 Let’s not overwhelm ourselves with his coat game, which appears to radiate class and sophistication. Ranging from regal and elegant to downright chic and jazzy, you can derive any sort of inspiration from this icon. 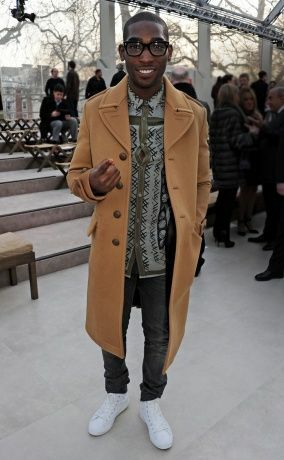 It’s no doubt Tinie Tempah has a keen eye for fashion and dressing styles. After all, he opened his own clothing label, “What We Wear” that represents his unique perspective and view to innovate the apparel landscape and inspire thousands in the process to have their own voice when it comes to being fashionable and presentable. So make sure you follow all of these fashion icons on Instagram, Facebook and Twitter. This will help you gain substantial insight on their fashion sense and maybe you can impress your friends with a new look.